Holy Family Catholic School began as St. Alice School in June of 1945. Staffed by the Sisters of Saint Mary of Namur, the school was located at the corner of Locke Avenue and Camp Bowie Boulevard. 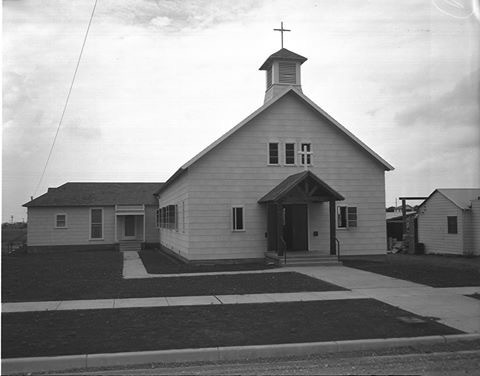 In January 1961, Monsignor Vincent J. Wolf was appointed pastor of St. Alice Church and in 1962 property was acquired on Pershing Avenue for the relocation of the church and school. The name of the new church and school was changed to Holy Family to emphasize the unique sacredness of family life. Holy Family Catholic School was dedicated on September 27, 1970. At this time, the school was under the direction of the Sisters of the Incarnate Word. Since 1979, the entire faculty has been composed of lay staff. The interior of the school was extensively remodeled in 1984. In 1993 a gym and new 7th and 8th grade classrooms were added. We celebrated our 50th anniversary in October 1995, and our 70th anniversary in June 2015. If you are an alum of Holy Family or St. Alice and would like to be included in our mailings and alumni directory, please contact our Principal, Dr. John Shreve or by calling the school. For further information on the Sisters of Saint Mary of Namur please visit their website, www.ssmnwestern.com.